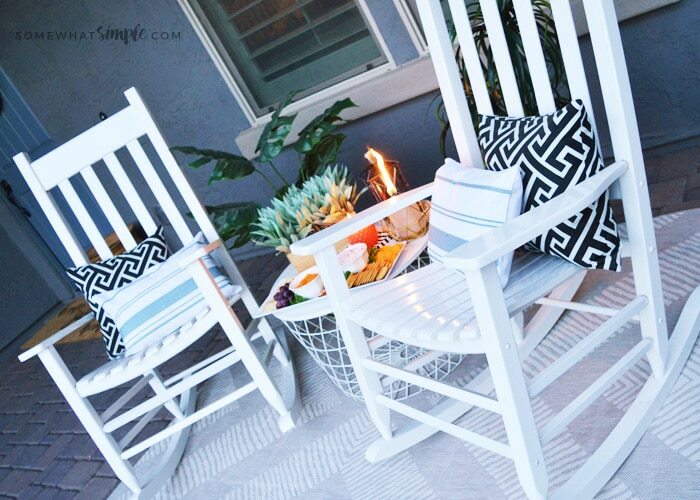 With the help of TIKI Brand products, we’ll show you how to create an outdoor oasis in even the smallest of spaces – the perfect place to enjoy some of our favorite healthy snacks! 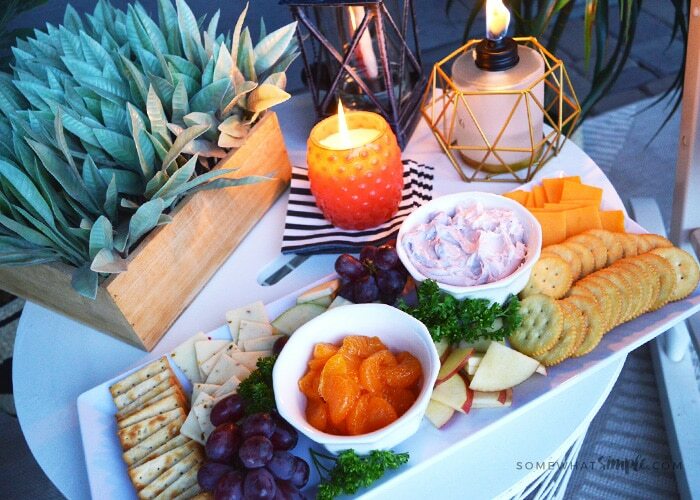 You don’t need a whole arsenal of items to create a relaxing space to enjoy your favorite snack! 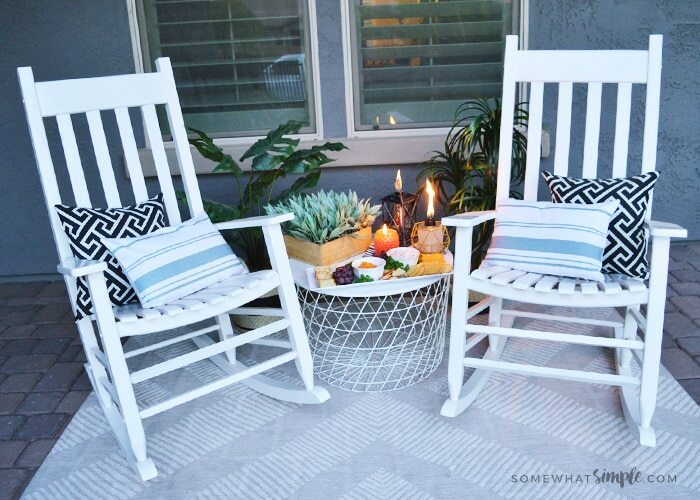 Start with an outdoor rug to designate your space, then you can add a few chairs, a small table, and a few plants as fillers! 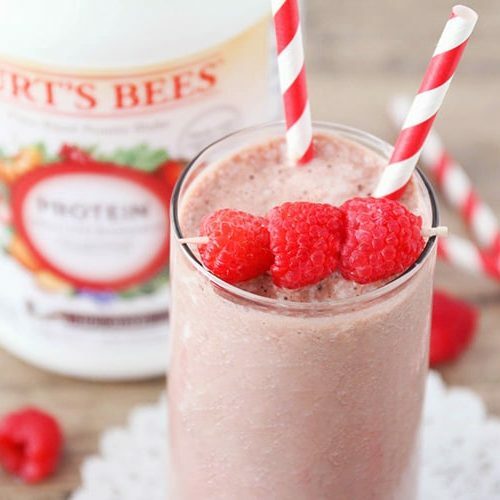 We think the perfect way to top off a relaxing moment is to add a delicious and healthy snack! 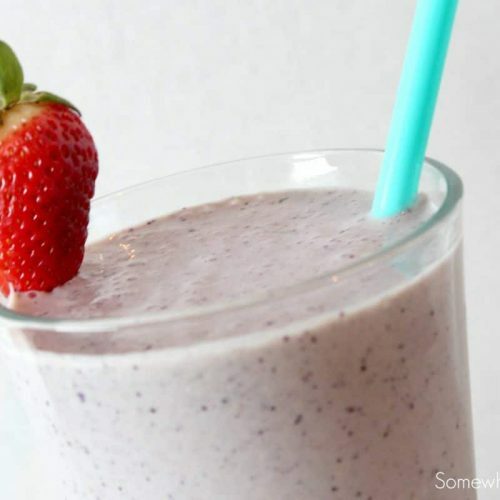 Grab a few ingredients, and you’re on your way to maximum oasis enjoyment. 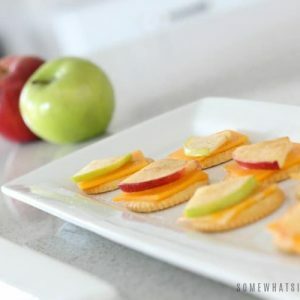 I put together this sweet and savory apple, cheese and cracker snack one afternoon and not only were they super easy, they happened to be a hit with my entire family! 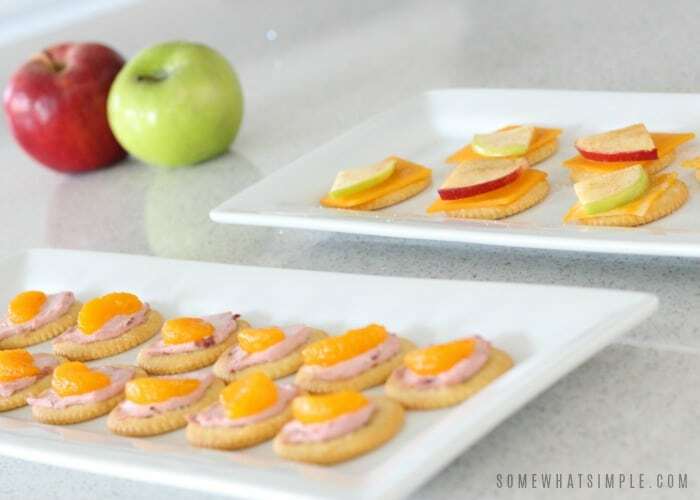 These easy healthy snacks were a nice little break in the day that helped our minds and our tummies recharge! 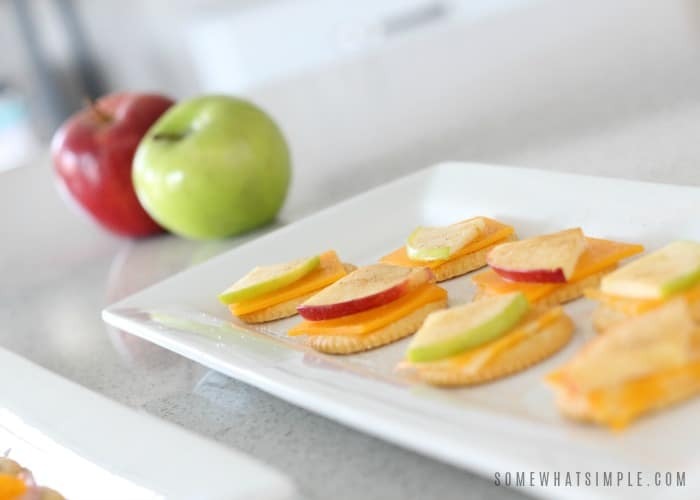 I put together this sweet and savory apple, cheese and cracker snack one afternoon and not only were they super easy, they happened to be a hit with my entire family! crackers we found an incredible rosemary flavor that was so delicious! 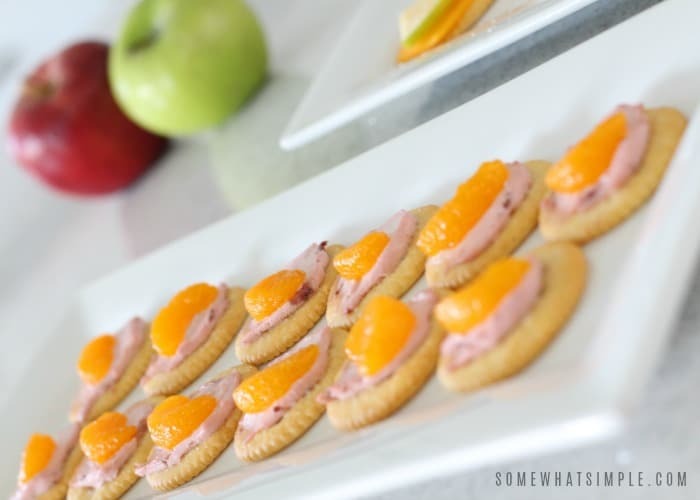 Top your crackers with a slice of cheese. Place an apple slice on top, then sprinkle with cinnamon + sugar. 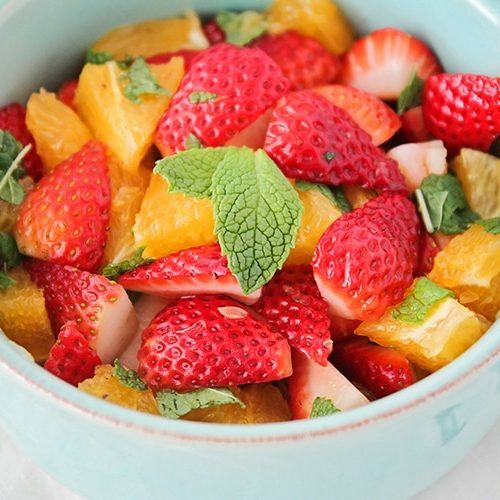 These easy healthy snacks were a nice little break in the day that helped our minds and our tummies recharge! 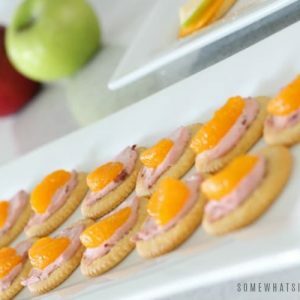 Spread your cream cheese onto a cracker. Top with a mandarin orange. 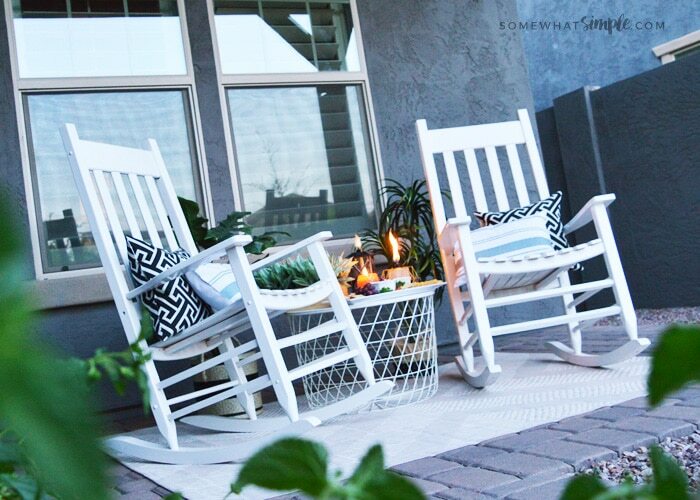 A huge thank-you to Tiki Brands who provided us with products that made this post possible! 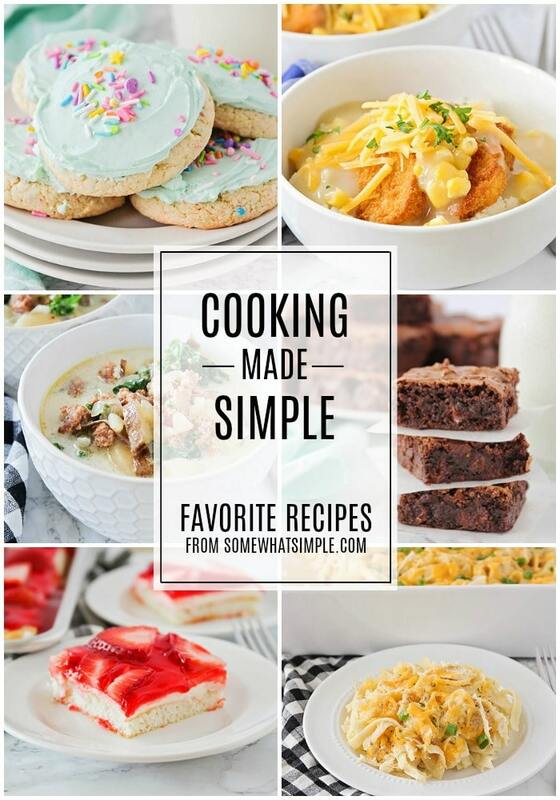 And as with all of our sponsored posts, all text and images are 100% our own. I love apples and cheese together, I bet this is really amazing!